This bacteria can degrade polyethylene terephthalate (PET) – a common plastic which is used in clothing, bottles and food packaging. PET can degrade in centuries, and until then, it damages the environment. The first step was to hunt for microbes around refineries from her Houston. 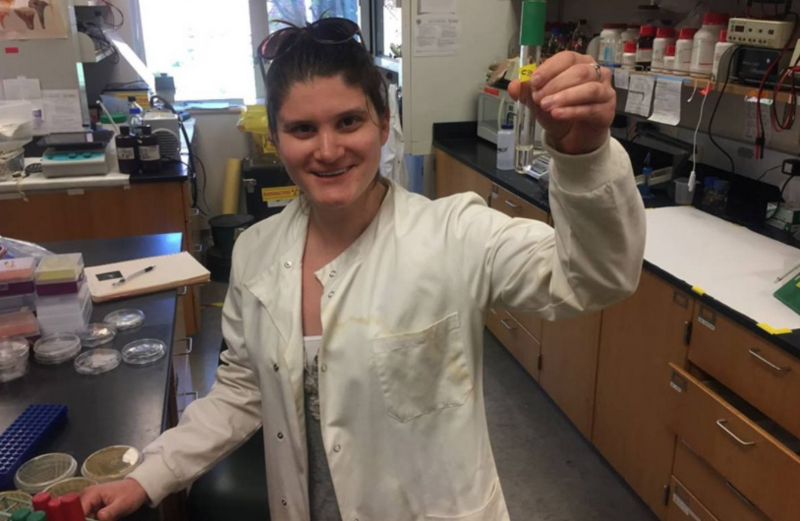 She was searching for microbes that adapted to degrade plastic both in soil and in water. She took samples back to college in Portland, Oregon and started testing almost 300 strains of bacteria. In her search, she was looking for an enzyme that could digest fat and break down plastic to transform it into food for the bacteria.